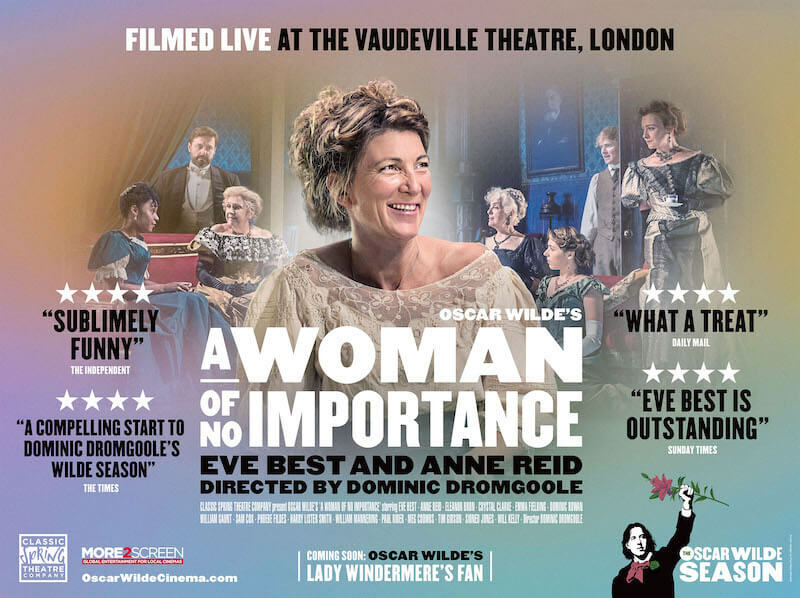 Olivier award-winner Eve Best (A Moon for the Misbegotten and Hedda Gabler) and BAFTA-nominated actress Anne Reid (Last Tango in Halifax) star in this new classically staged production of Oscar Wilde’s comedy directed by Dominic Dromgoole, former Artistic Director of Shakespeare’s Globe. 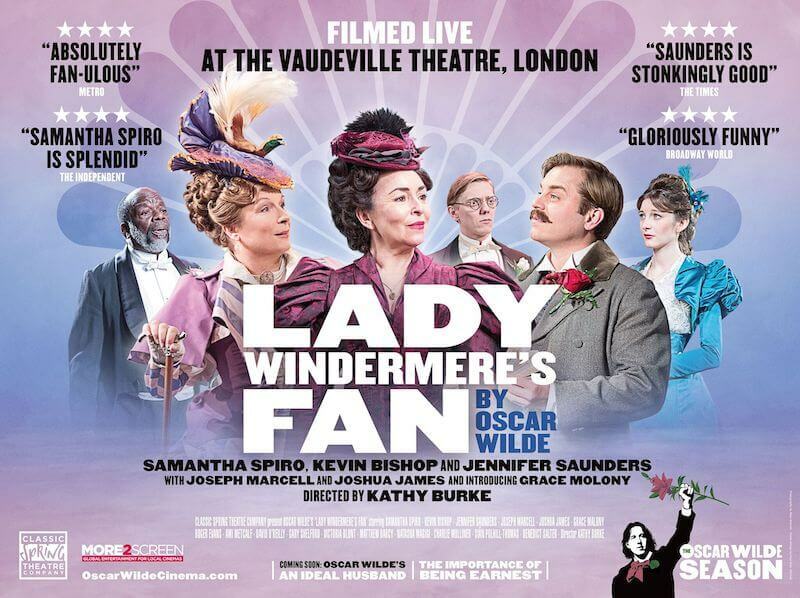 The first play from the Classic Spring Theatre Company’s Oscar Wilde Season, A Woman of No Importance was filmed live at the Vaudeville Theatre in London’s West End especially for the cinema screen. 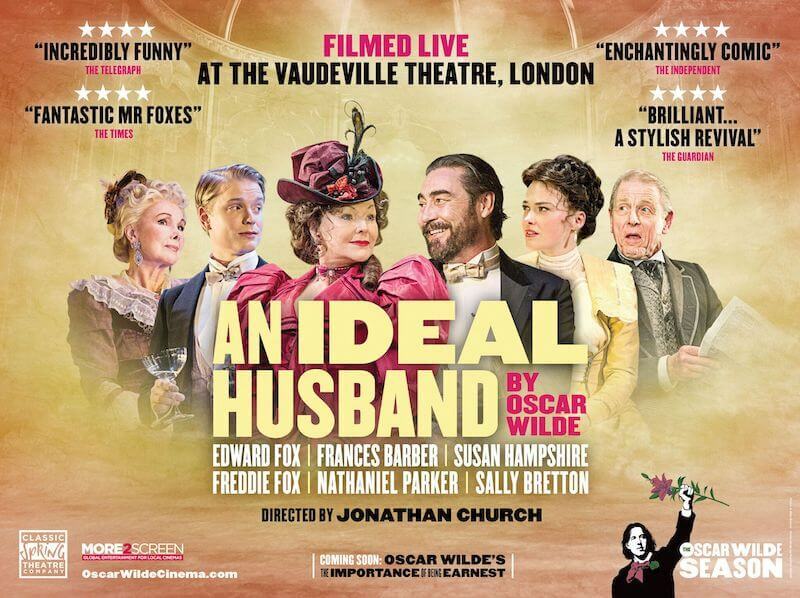 A new production of the Rolls-Royce of English comedies, Oscar Wilde’s An Ideal Husband, filmed live at the Vaudeville Theatre in London’s West End, is coming to the big screen. Directed by Jonathan Church, this entertaining and still topical play brings an act of political sin into the heart of the English home. As an ambitious government minister, Sir Robert Chiltern’s smooth ascent to the top seems assured until Mrs Cheveley appears in London with damning proof of his previous financial chicanery. 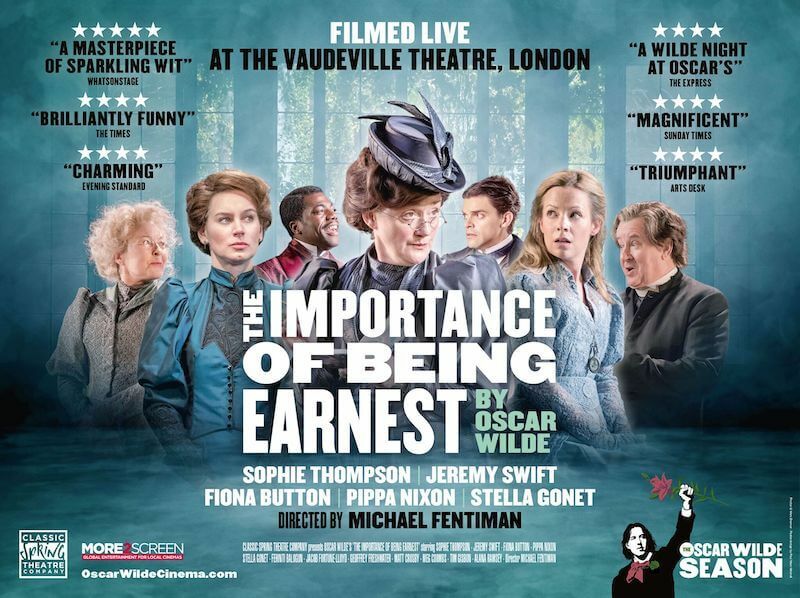 A ‘brilliantly funny’ (★★★★ Times) and ‘charming’ (★★★★ Evening Standard) new production of one of the funniest plays in English, Oscar Wilde’s The Importance of Being Earnest, filmed live at the Vaudeville Theatre in London’s West End, is coming to the big screen. Wilde’s much-loved masterpiece throws love, logic and language into the air to make one of theatre’s most dazzling firework displays. Jack, Algy, Gwendolyn and Cecily discover how unsmooth runs the course of true love, while Lady Bracknell keeps a baleful eye on the mayhem of manners. © 2017 More2Screen. ALL RIGHTS RESERVED.